New design set to rock microphone round the back, while smaller touchscreen effort still mooted. 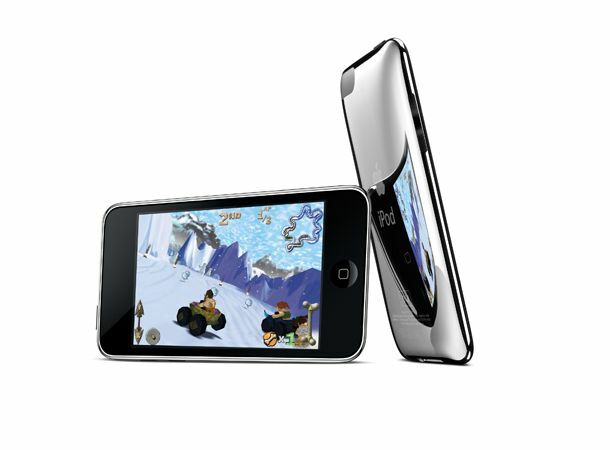 Apple's new iPod touch is set to rock a similar design to the original model, toting a flat-back design rather than a curved one. That's according to, “a source who would have reason to know,” who has spoken to iLounge. The new look is said to look like, “…the top of a MacBook Pro, only smaller,” suggesting tapered edges but a pancake like surface on the rear. As for the camera, word is the space next to it is not reserved for an LED flash, but actually a microphone, similar to the design on the current iPod nano. The 3.5mm jack will remain down at the bottom of the device. Chatter about another touchscreen iPod, this time with a 1.7-inch panel, is also rife, although it's thought to be an iPod nano replacement rather than gazumping the shuffle. Whatever gets unveiled, we'll be at Apple's live streaming of its “special event” in London, bringing you the news as it happens. For more, check out our Facebook and Twitter pages.